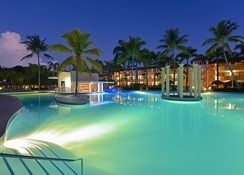 The Iberostar Costa Dorada hotel is a 5-star all-inclusive resort situated on the sandy Costa Dorada beachfront in the north western coast of Dominican Republic. Offering over 500 guestrooms, this iconic property is surrounded by huge tropical gardens and promises warm hospitality during your stay. For the younger guests, there is a Star Camp activity where they have fun exploring and engaging in creative activities. 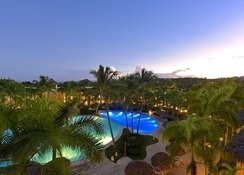 There is a casino, tennis courts and an 18-hole golf course in the vicinity of the hotel. Make your stay in sunny Costa Dorada memorable by checking into The Iberostar Costa Dorada. 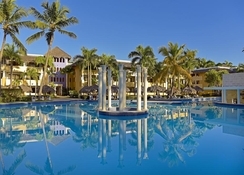 The Iberostar Costa Dorada is situated right on the golden sands of Costa Dorada in the north western coast of Dominican Republic and has private beach access. The city of Puerto Plata is 26.4km away, while the La Union Airport is 44.7km from the property. 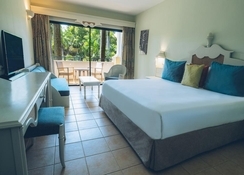 The Iberostar Costa Dorada has 516 well-furnished guestrooms categorised as Standard Rooms, Standard Family Rooms, Ocean View Rooms, Standard Spa rooms and Junior Suites. The breezy rooms, many of which have lovely sea views, are painted with a fun colour palette and distinctly Caribbean furnishings, are poised to give guests a home away from home during their beach vacation. All the rooms feature a digital safe, alarm clock with radio, flat-screen TV, minibar, coffee maker, and iron and iron table. The en-suite bathrooms have a vanity sink, shower and bathtub combo, and a hairdryer. There’s free Wi-Fi in the rooms. 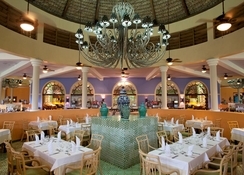 Iberostar Costa Dorada Hotel serves up a wide range of gastronomic delights to cater to the palate of guests. It has three à la carte restaurants that can be dined in if booked in advance; La Hacienda – Mexican, El Bohío – Brazilian, and Sakura - Japanese. There is also an international buffet serving fresh salads, meats, fish and pasta, cheeses and four delightful bars with refreshments and snacks, chips and more. Expert chefs serve up delicious local and international cuisine with the freshest of ingredients. 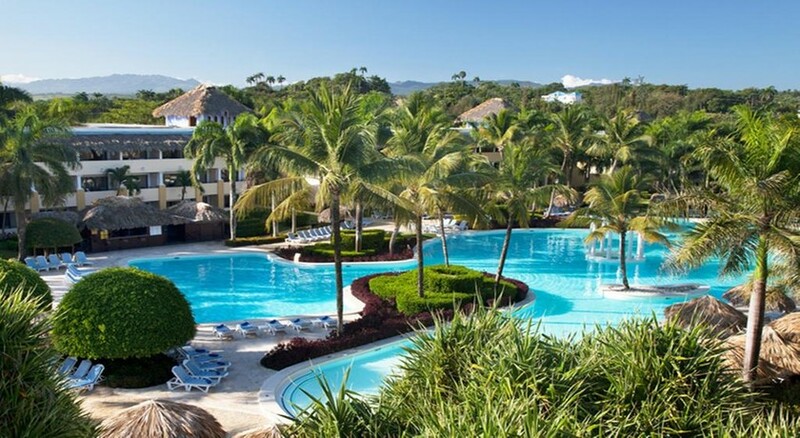 The Iberostar Costa Dorada hotel provides ample opportunities for the guests’ relaxation and recreation. There are facilities like diving, kayaking, playing tennis, aerobics, archery and shooting. For those who wish to stay active during their stay, there is a fully equipped gym. Guests can soak in the sun and water all they want at the large outdoor pool. There is a rejuvenating spa which offers treatments, massages, mud-based body wraps, Jacuzzis and steam baths and much more.